Beautiful Vegetable Creations with Delmanor Glen Abbey! 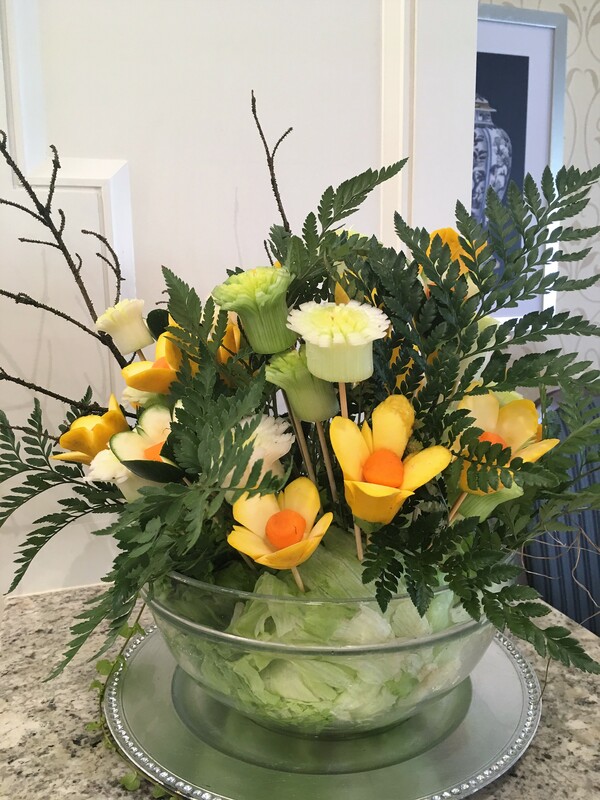 Delmanor’s Corporate Chef, Divakar Raju visited Delmanor Glen Abbey to demonstrate his unique and fascinating talent of transforming fresh vegetables into stunning flower arrangements that are almost too beautiful to eat! 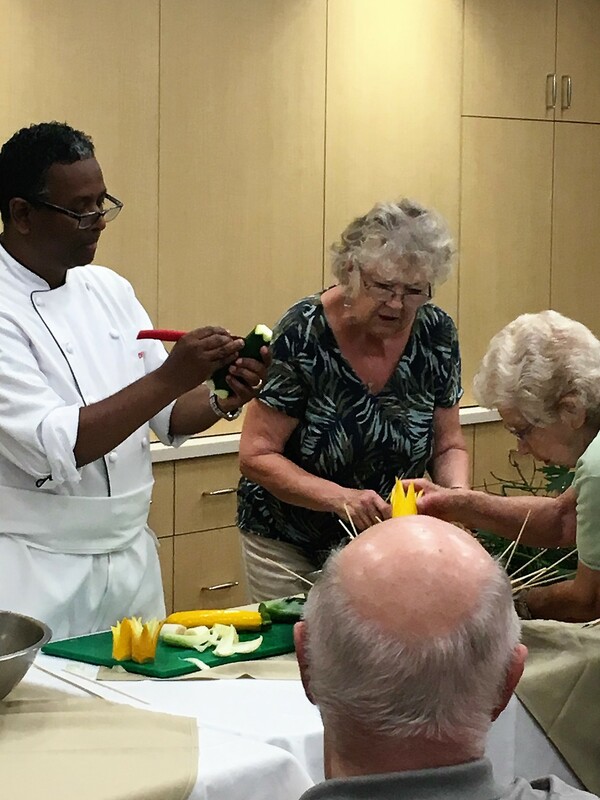 Residents watched intently as Chef Raju created a flower lily by using a leek for the base and a carrot for the flower. 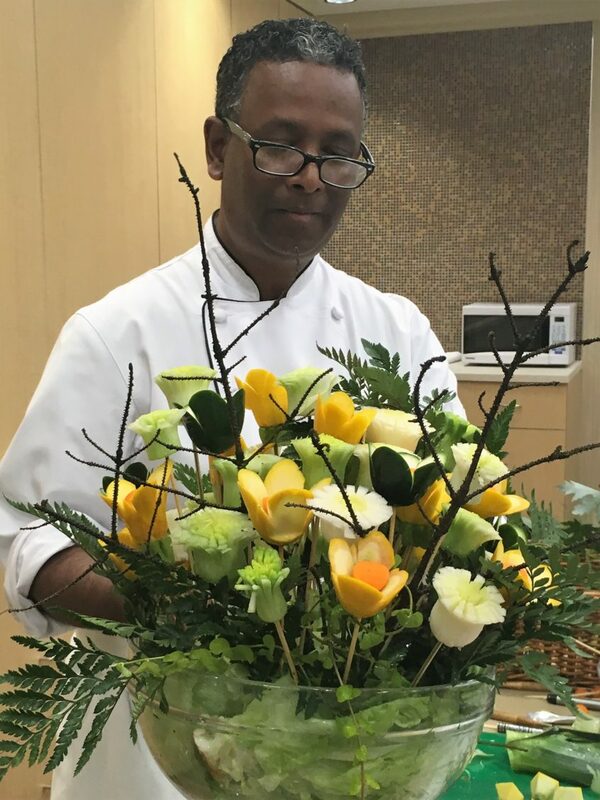 Residents and Community Members enjoyed assisting Chef Raju, and learning how to create beautiful flower bouquets. 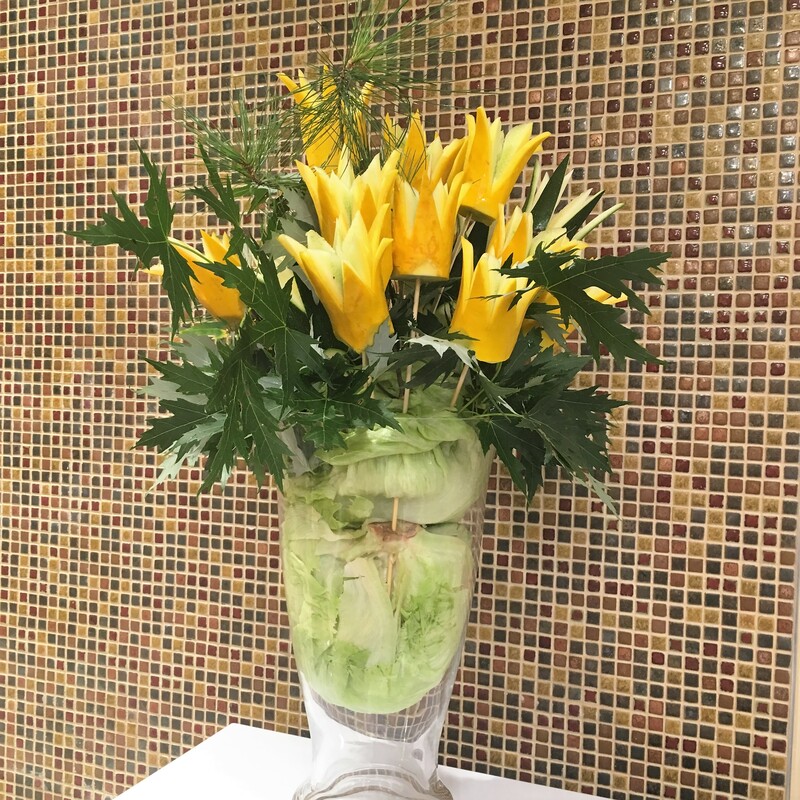 Residents watched in awe as the carved vegetables opened up like flowers when placed in cold water! The finished creations were given to lucky residents and community memberms to enjoy visually and then as a delicious snack! This demonstration showed how there is beauty in all things and how the simplest of objects can be transformed into something truly remarkable!